Storm Katie caused quite a lot of damage down the prom saturday night and sunday morning and seems to be having another go at it today! Big thanks to club members Geoff Brine, Craig Taberner and Jord Smith for heading down late saturday and righting the boats they could and huddling them together head to wind to minimise any further damage. 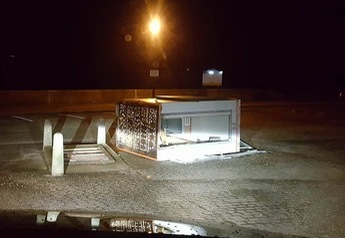 It was so windy that the old parking kiosk at the bottom of the slip road was completely blown over! – so if your boat is moored down the prom – please come and check whether it’s damaged and safely secured.